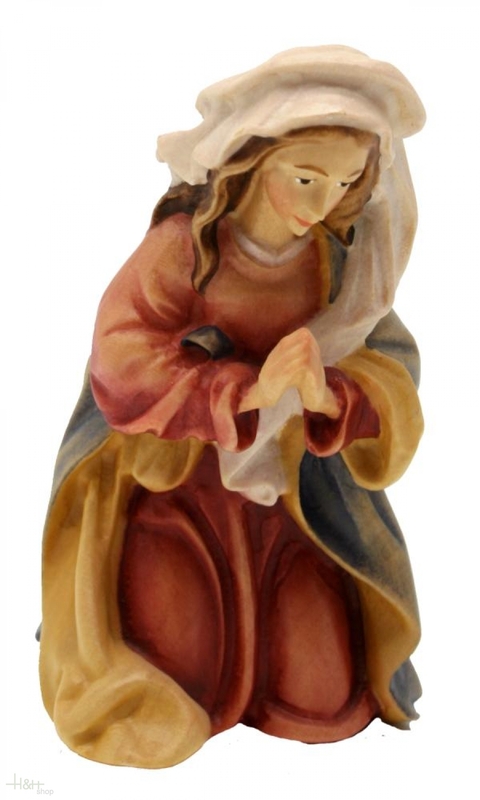 Mary - Sculpture in wood of the Matteo Nativity. Saint Joseph - Sculpture in wood of the Matteo Nativity. Black King - Sculpture in wood of the Matteo Nativity. Kneeling King - Sculpture in wood of the Matteo Nativity. Baby Jesus with crib - Sculpture in wood of the Matteo Nativity.